There would hardly be anyone who would not agree with the statement that Armenia is more attractive and beautiful with its undiscovered miracles. 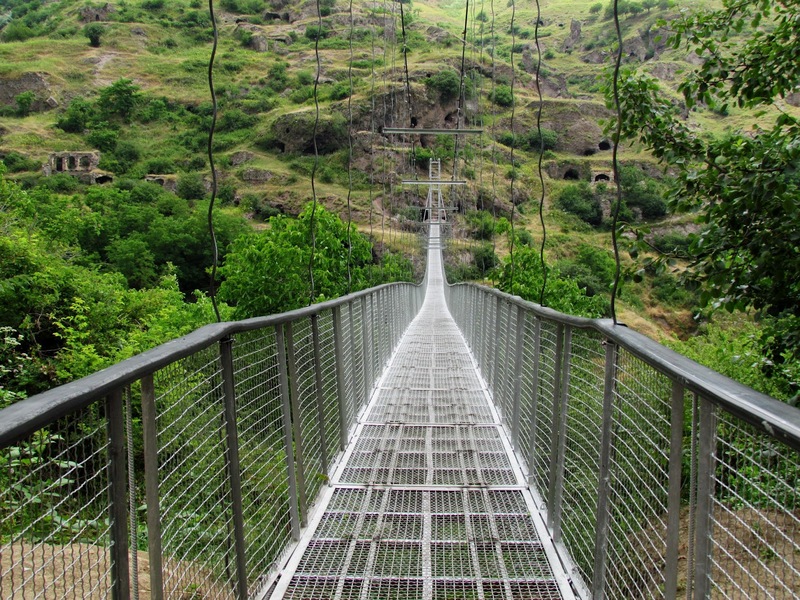 Every corner of Armenia has its own history – a legend, a myth connected with it. 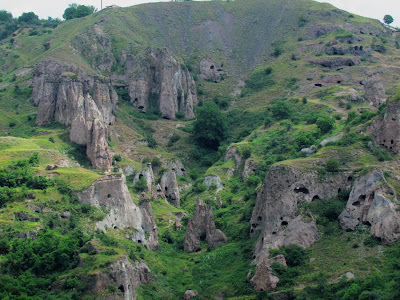 Khndzoresk village (located in the South-East of Armenia, marz Syunik) is not an exception. 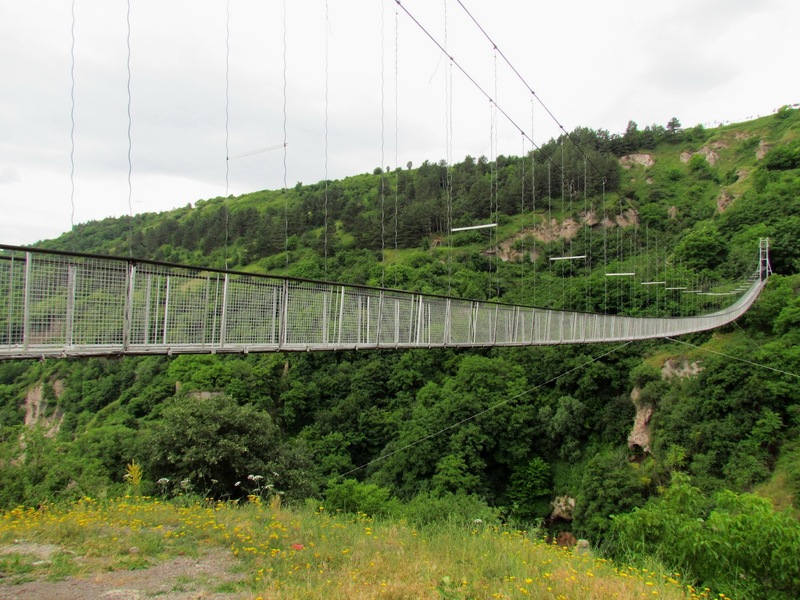 About a month ago thanks to the efforts of Khndzoresk residents a swinging bridge was opened. The 160-meter long bridge weight 14 tons and connects the two banks of the village, the so-called old and new Khndzoresk. The amazing thing about the bridge is that it was constructed by the residents of the village, with their own hands and no machinery was used for the construction, and even for the transportation of materials (they used horses). Everyone would agree that this is a very brave and patriotic act. The aim was perhaps to preserve the natural and historical heritage of their hometown, as the new bridge can help you see, feel, hear, learn and experience many things about ancient times. The construction of the bridge was initiated by a local entrepreneur. According to him, he wanted the bridge to serve as a road for the youth to get back to their roots. According to the estimations of the local people the bridge can “hold” 700 people at the same time. 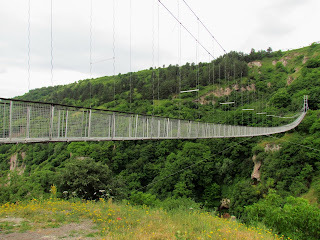 To be frank enough, I myself would be scared to death to step on the bridge; while Khndzoresk residents do not even doubt the durability of the construction. The bridge runs over a deep canyon which is amazingly beautiful with its rock formations and caves. Until the 1950s people used to live there. 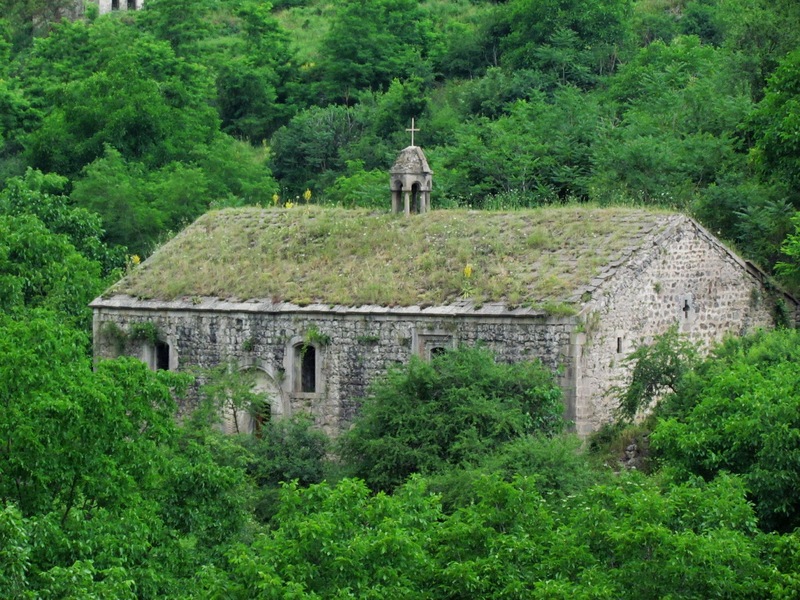 St. Hripsime church (17th century) and the tomb of Mkhitar Sparapet (Armenian national hero who won many victories over the turks in the 18th century and was killed on his way to Khndzoresk) can also be found nearby. Khndzoresk has always been a tiny village with its unique image and perceptions. Hope the new bridge will add its unique colors and spice to the small village and the lifestyle of its residents. There have been a time that Khndzoresk was the largest village of Eastern Armenia. This is where David Bek's liberation movement has taken part. Every person that is interested in ancient history has to make a trip to Armenia at least once. Armenia is beautiful with its ancient history, with its ancient places, churches, monasteries. Khndzoresk is one of them. Is there any bus from goris to Khndzoresk? ?